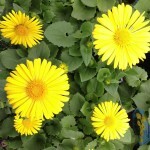 There is a vast array of Centaureas, both annuals and perennial. All of them have more or less thistle-like flowers. SPECIES. 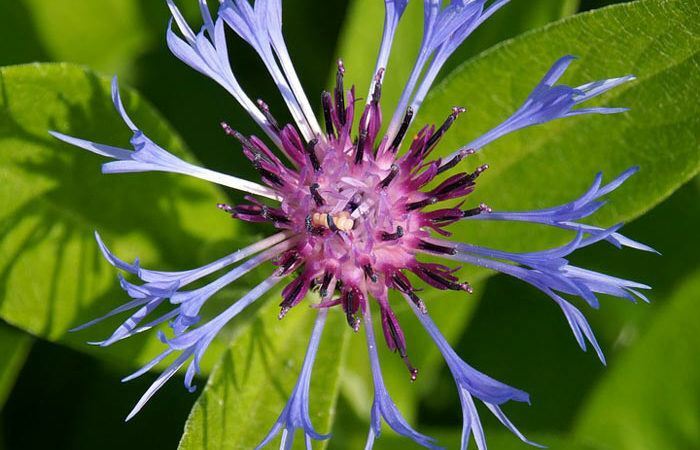 Cornflower (Bachelor-button) (Frenchpink) (Bluebottle) (Keiserbloom) (Ragged-sailor) (Bluet). Cenfaurea cyanus. A popular blue, purple, rose or white sort. The double varieties are fuller, more symmetrical and larger so that these are by far the best to cultivate. A dwarf form is cataloged. The goldfinches are fond of the seeds and make an interesting combination in colors. Basketflower. Centaurea americana. This is the largest flowered sort, often 4 inches in diameter. The flowers are rosy lavender, made up of very slender florets. The involucre below the flowers have bracts, which are fringed and dry. The plants grow 3 feet tall. 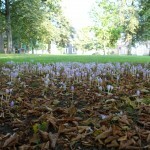 The flowers usually close at night. Sweet-sultan Centaurea moschata (odorala) (suaveolens) also C. imperialis. Most of the Sweet sultans have a delicate fragrance. They are white, pink, yellow, lavender, purple and frequently have white or yellow centers. The florets are apt to be cornucopia-like, that is, funnel-shaped, often finely fringed. The flowers are 3 inches to 4 inches across and are borne upon strong stems. The bracts are often dry at the margin but they are not fringed as in Centaurea americana. They are said to prefer a limestone soil. Dusty millers. Two Centaureas are perennials but none too hardy. They are raised from seed each year by some florists. C. cineraria (candidissima) has broad leaf lobes and flower heads large, not hidden by the leaves, the flowers are yellow or purple. C. gymnocarpa (argentea) (plumosa), known as the Velvet Centurea, has very narrow leaf lobes and tiny flowers almost hidden by the leaves. The flowers are purple. Where to Plant. The various sorts are good cut flowers especially the Sweet sultans and Cornflowers, both of which often last 10 days in water The Basketflower closes at night. Cornflowers are admirably combined with the Goldenwave Calliopsis. As garden subjects all sorts are dependable annuals. Travelers to Europe know why the flowers are so named because wherever they go they find the grain fields filled with Cornflowers and Corn Poppies They are ideal buttonhole flowers and for this reason have been called Bachelor-button. Gray foliage is always an asset to the garden, contrasting with the gay flowers it furnishes them with a splendid background. For bedding with Geraniums and other tender greenhouse plants, the Dustymillers have been a standby of florists for this use and for window boxes. GENERAL. The Cornflowers and Basketflowers are of the easiest culture. The Cornflowers are well sown in the Fall, in which case they bloom in Spring. Young plants generally Winter safely when seed is sown early in the Fall. They may be sown in Spring as soon as the soil can be worked. Allow 6 inches to 8 inches between plants and do not let them, crowd. 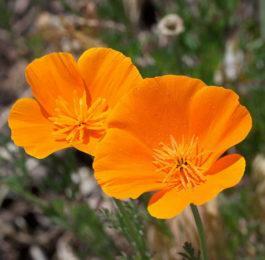 They flower in 8 weeks from seed and often self-sow, but such seedlings are often single and inferior in color and size. Succession in bloom is obtained by sowing at various times. Basketflowers are best sown in April, and not in the Fall. They require 1 foot between the plants, inasmuch as they are larger in growth than the Cornflowers. Sweet sultans are best in cool climates. They should be sown where they are to grow, for they are not the easiest of seedlings to transplant. They should stand 8 inches to 12 inches apart. 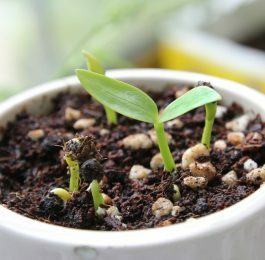 Young seedlings damp-off easily when crowded or given too much water. 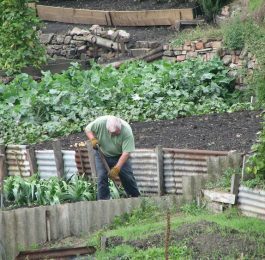 Some growers believe that a limey, loose soil is necessary for success. Dusty-miller seed may be sown in January if a greenhouse is available. Grow them cool and use a sandy soil. Cuttings may be made, using a good, sharp knife, as they are difficult to cut without bruising.